The story behind some of our school supplies recipients in Ghana. Part of the school supplies shipped to Ghana in 2017 where donated to Aswaj Academy. A school located in Techiman in the Brong Ahafo Region of Ghana. The school was set up to support the Zongo community. The term Zongo refers to an area whereby predominantly Muslim community lives. There are over 300 pupils in the school. According to the headmaster of the School Mr. Misban Osman, on average the girls are a little ahead of boys in terms of academic performances. We decided to donate the items to girls to encourage the girl child education in the Zongo communities across Ghana. 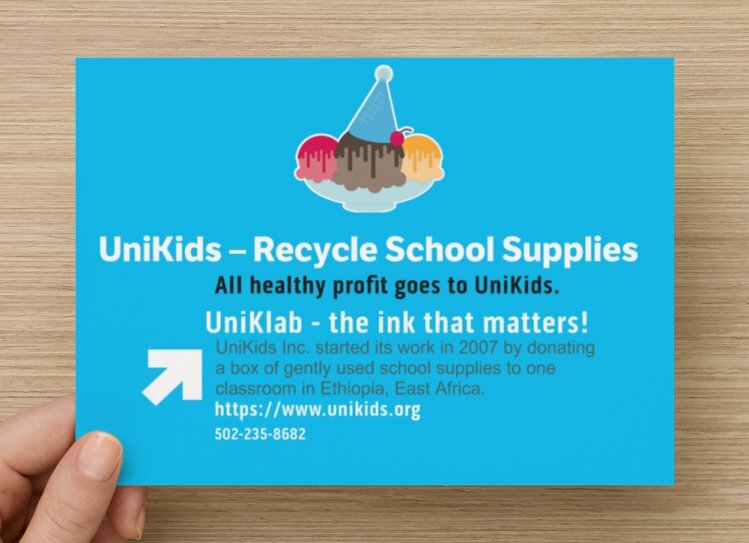 For more information, contact Senait Mareligne at 502.235.8682 or email at smareligne@unikids.org. IUS Adult Center – Thank you! We would love to give our thanks to Kimberly D. Pelle of Indiana University Southeast. She coordinated the annual Ethiopian coffee ceremony and continued to introduce UniKids to the Adult Student Center. As part of the collection drive, we have received the school supplies and the funds raised to cover the cost of shipping to students in developing countries. Thank you!